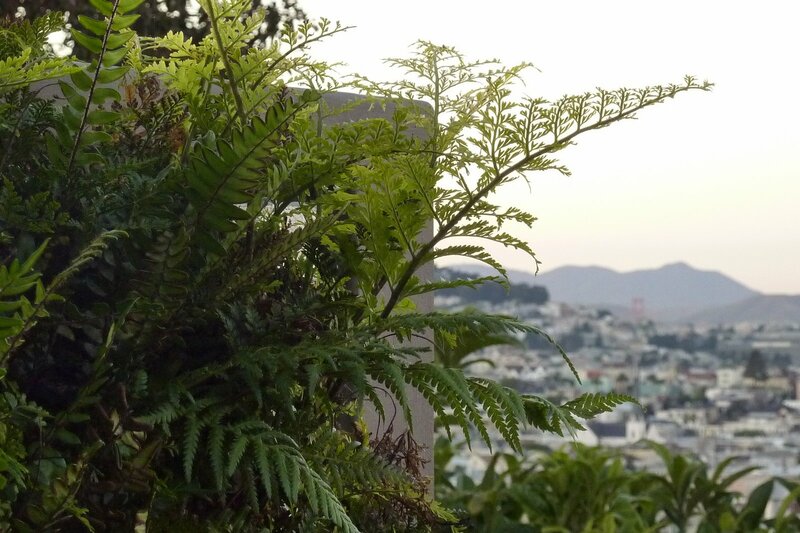 Ferns grace the cool northwest shady walls of a San Francisco balcony overlook. 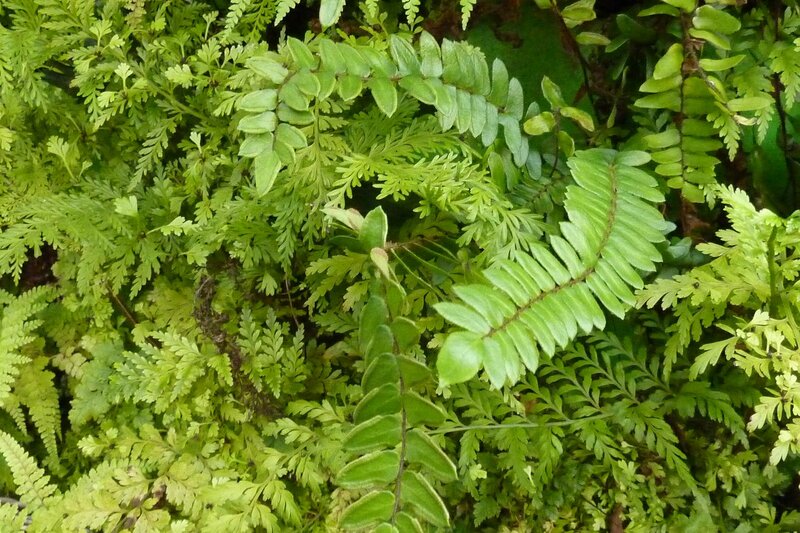 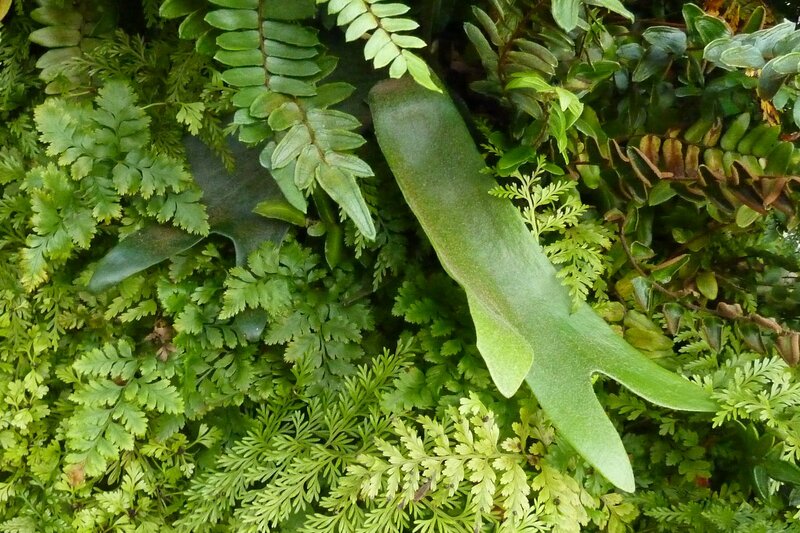 Two Floraframe 32x51 Living Wall Kits are planted with varieties of ferns. 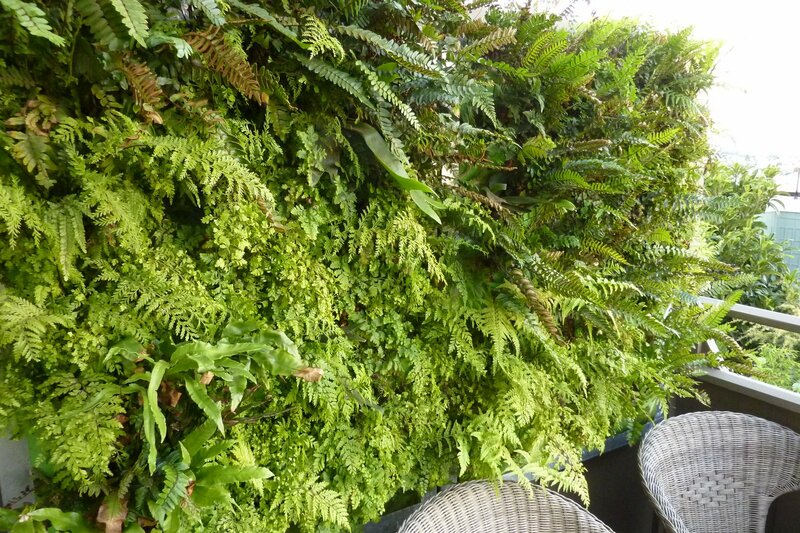 Vertical Gardens and Livng Walls by PlantsOnWalls.